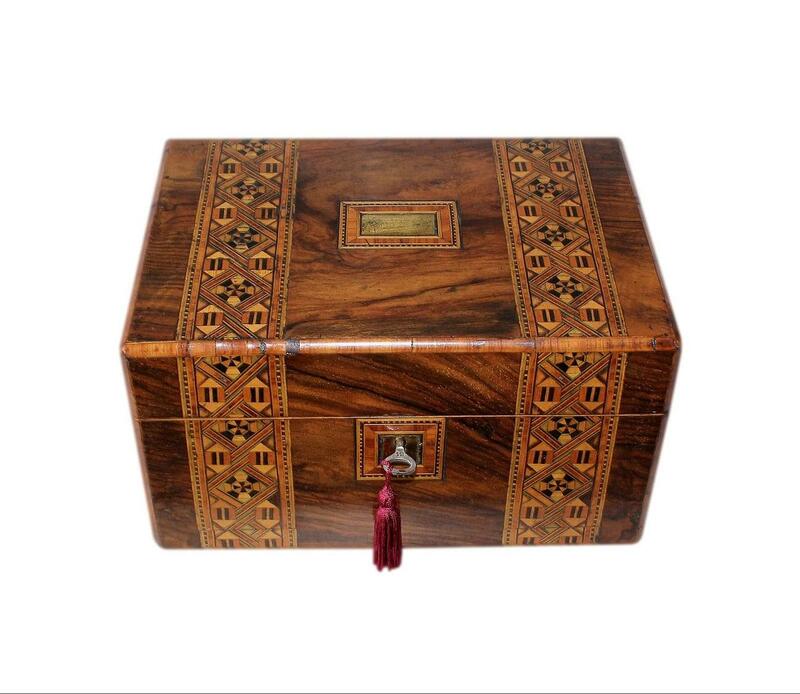 This is a beautiful antique jewellery box, dating to 1860/1870. It has a stunning partially refurbished interior and is complete with its original working lock. 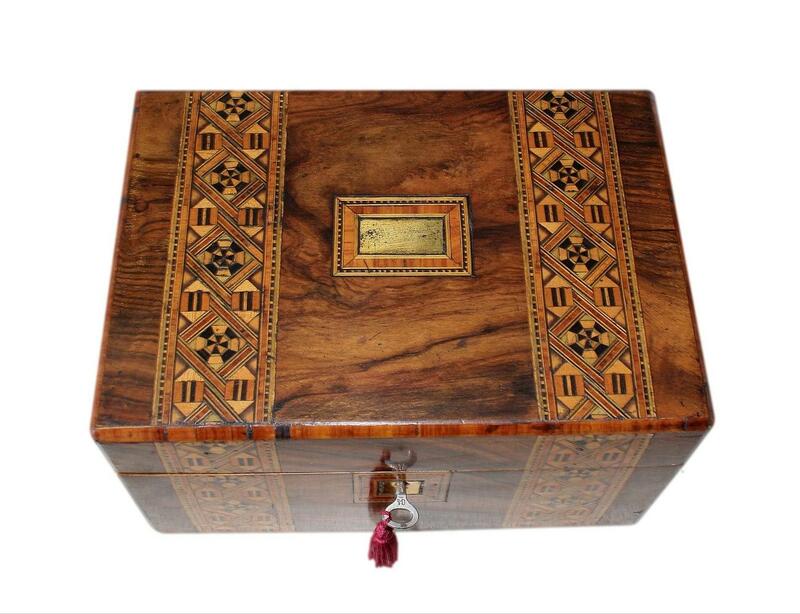 This box has a beautiful Walnut veneer and wonderful wide bands of decorative 'Berlin Strapwork' inlay. Information on this inlay is given below. 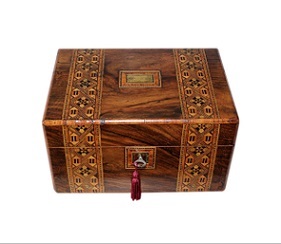 There is a beautiful inlaid feature to the centre of the lid with an inlaid gilded brass cartouche in the centre. There is an inlaid gilded brass escutcheon to the keyhole, surrounded by a frame of beautiful inlay. This compliments the inlaid feature on the lid. The Walnut has a beautiful rich colour and superb figuration. 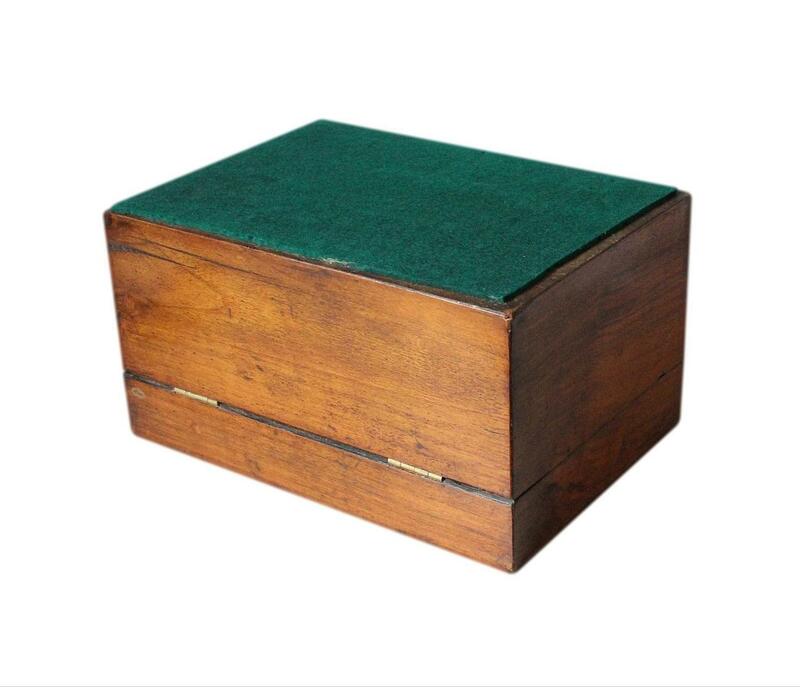 The box is complete with its original working brass lock and has a fitted replacement key which locks the box securely. The box has new polished solid brass hinges. 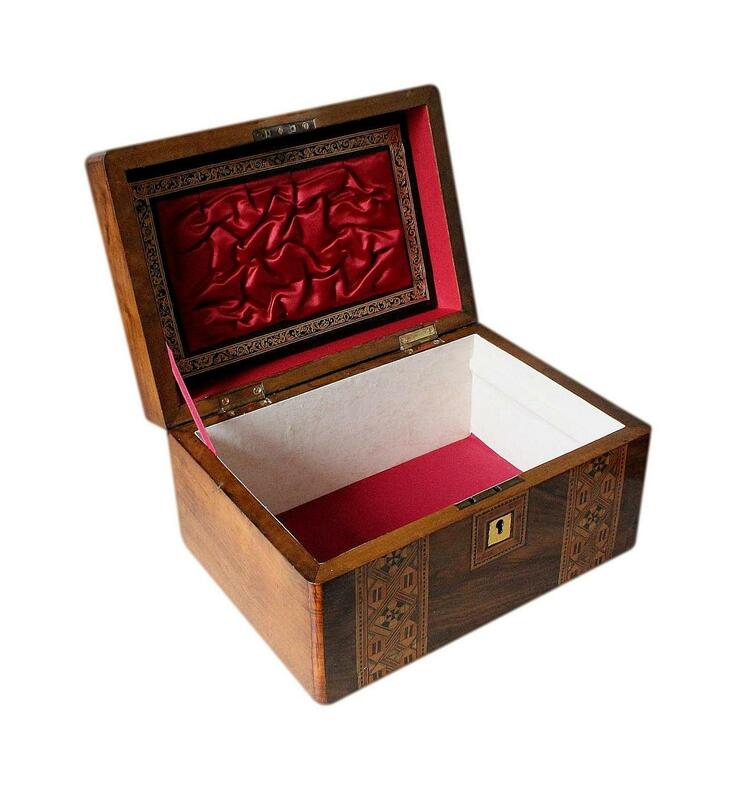 There is a new red silk ribbon to the left of the interior which holds the lid upright. 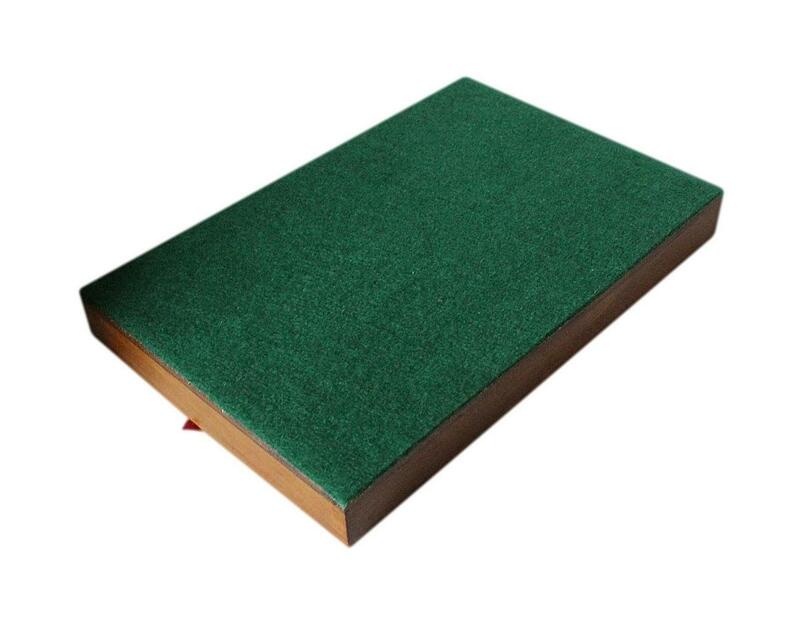 The bottom of the box has a green felt covering which will protect the surfaces of furniture. This is an old replacement covering, fitted some time ago by a previous owner of the box. 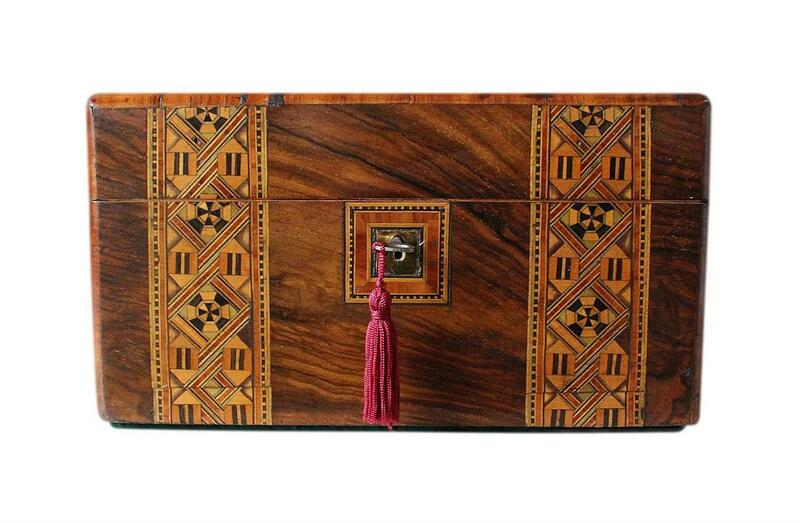 This is a beautiful type of inlay, consisting of several varieties of colourful hardwoods. Each band of inlay is made up of hundreds of small pieces of wood, intricately placed to create a beautiful symmetrical pattern. 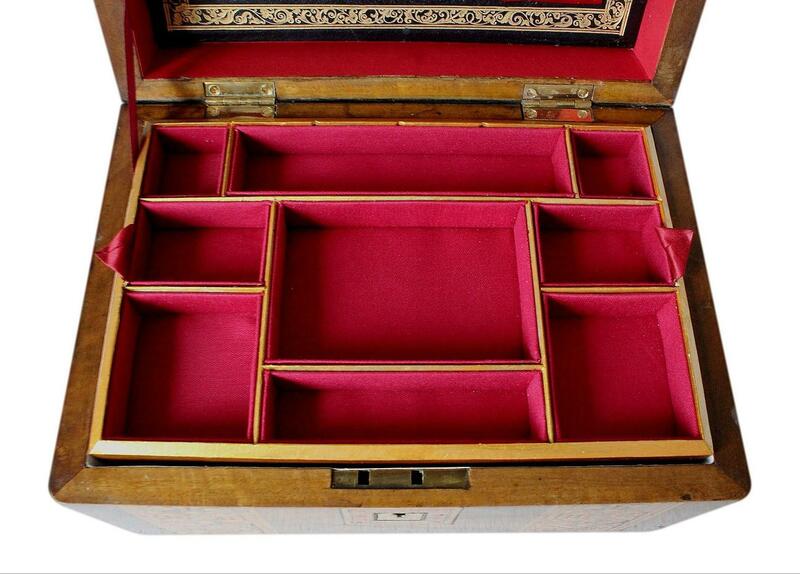 The interior tray and compartments of the box have been beautifully refurbished by our skilled box restorer. The inside of the lid has retained its original high quality silk panel and outer frame. This combination of old and new furnishings gives the box a stunning luxurious look. The removable tray is original to the box. This has been newly French polished and has a beautiful new gilded finish to the edges. 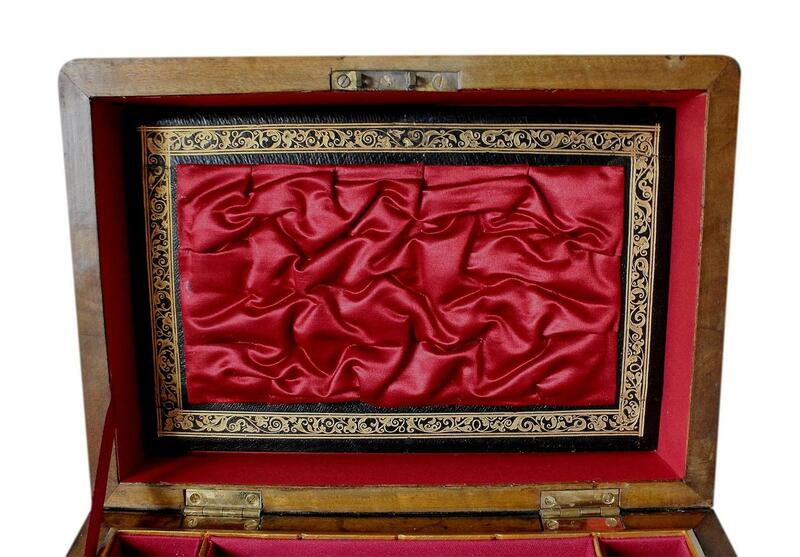 All of its compartments have new red satin linings and the bottom of the tray has a new felt covering. The red silk pull tabs are original to the tray and allow you to remove the tray with ease. There are 9 various compartments in the tray which are ideal shapes and sizes for rings, brooches, earrings, pendants, bracelets, chains and slender bangles. Our restorer removed certain partitions in the tray to create more practical storage space. The lower compartment beneath the tray has a new padded red satin panel in the base. The walls of the compartment have new quality cream patterned paper linings. 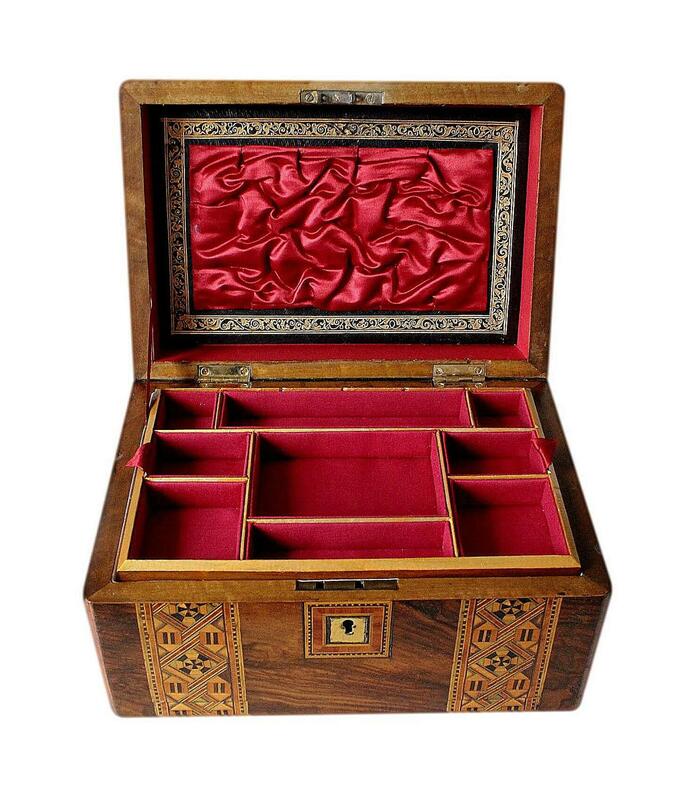 This compartment is deep, large and spacious, roomy enough to hold large pieces of jewellery such as broad bangles, watches and chunky beads. The inside of the lid has its superb original high quality silk panel. This is beautifully padded and ruched. Surrounding the silk panel is a beautiful leather frame with embossed and gilded floral decoration. This too is original to the box. The walls inside the lid have new quality red paper linings. 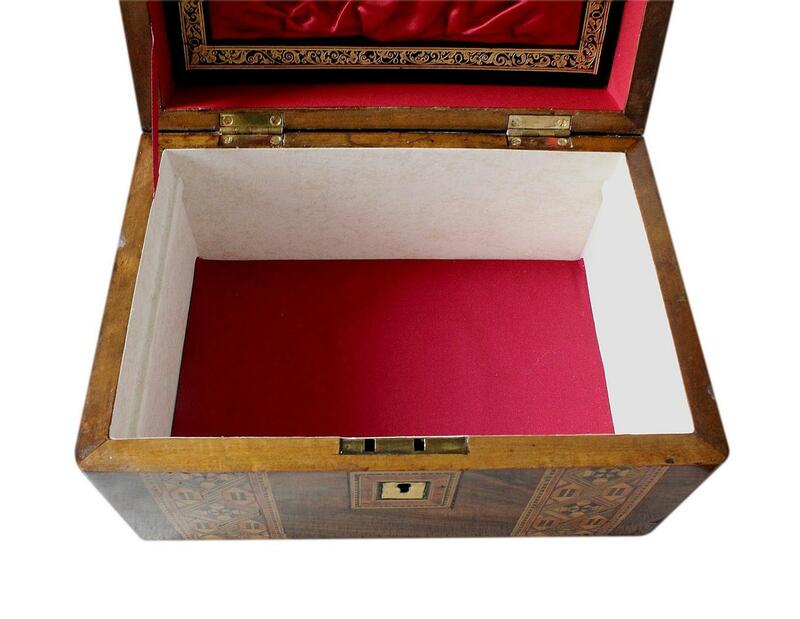 This beautiful box is in excellent condition with no nasty splits or unsightly scratches. It is a sturdy box with sound structure. The Walnut veneer has some superficial fine scratches which are not very noticeable. There are a few very minor superficial fine splits within the inlay and veneer to the edges of the lid. There are two small pieces of wood missing to the inside top edges of the box. These have been polished. There are some surface scratches to the gilding of the brass cartouche and escutcheon. The above flaws are commensurate with age and honest use and in no way spoil the fabulous appearance of the box. We would like to make you aware that antique locks can occasionally malfunction. They are already very old and will naturally have some wear from age and use. We are not responsible for locks that malfunction from further age and use once boxes are purchased. Please ensure the lock is still working as soon as you receive your box. It will be checked prior to posting. 14.0 by 3.1cm with a 2.0cm depth. 3.1cm square with a 2.0cm depth. 5.1 by 3.5cm with a 2.0cm depth. 10.0 by 6.6cm with a 2.0cm depth. 5.5 by 5.2cm with a 2.0cm depth. 9.9 by 2.4cm with a 2.0cm depth. 22.8 by 15.0cm with a 7.0cm depth.